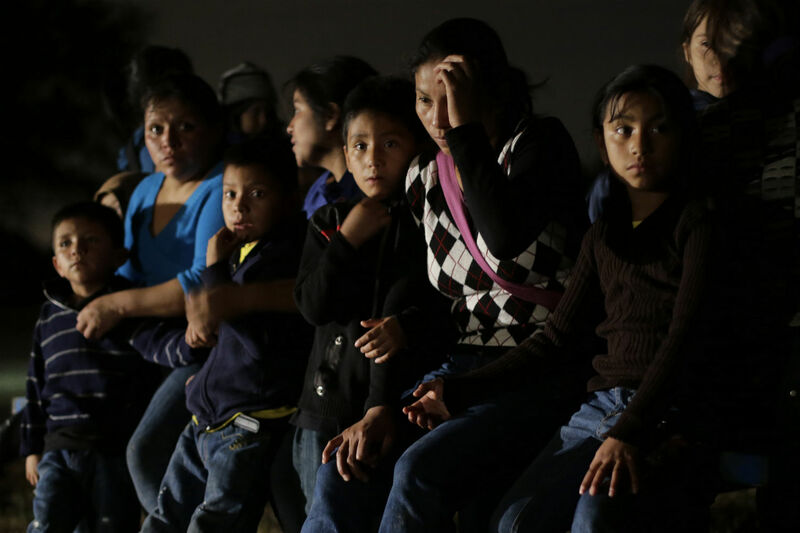 The 52,000 unaccompanied children who have shown up at the border are fleeing gang violence and have valid claims to asylum. In July, in Murrieta, California, right-wing demonstrators confronted busloads of people, many of them women and small children who had crossed the border fleeing horrific violence. “Nobody wants you! You’re not welcome! Go home!” they shouted. According to the Los Angeles Times, the migrants were on their way to a supervised release program overseen by a religious volunteer group. Instead, blocked by the protesters, they had to return to a border patrol station in San Diego. After she and some of her colleagues complained to the Department of Health and Human Services, Secretary Sylvia Matthews Burwell promised to have all children under 5 removed from jail. That is good news, though it is not the sort of thing that should require congressional action. In countries where the cartels are most active, children reaching adolescence face a choice between gang membership and death. Kennedy recently wrote a report for the Immigration Policy Center, “No Childhood Here: Why Central American Children Are Fleeing Their Homes,” which notes that 59 percent of Salvadoran boys and 61 percent of Salvadoran girls list crime or violence as a reason they decided to make the perilous trip north. Lofgren met a grandmother from Honduras who’d fled with three adolescent girls after a gang leader threatened to seize them. “She probably saved their lives,” says Lofgren. Despite the right’s canard that kids are fleeing to the United States because they think Obama has promised them amnesty, Kennedy says that only one of the more than 400 kids she has interviewed knew anything about the Dream Act or the president’s 2012 executive order halting deportation of some young immigrants. Indeed, people from the most violence-wracked states are also fleeing to neighboring countries, belying attempts to blame Obama for their migration. According to the UN High Commissioner for Refugees (UNHCR), between 2008 and 2013 there was a 712 percent increase in the number of asylum applications from citizens of Guatemala, Honduras and El Salvador seeking refuge in Mexico, Panama, Nicaragua, Costa Rica and Belize. Greater border enforcement is not going to stop desperate parents from trying to get their kids out of imminent danger. Migrants know they’re likely to be deported, and many reach the United States only after multiple failed attempts. “Many children say, ‘It’s a sure death if I stay, and it’s a possible death if I go,’” says Kennedy.